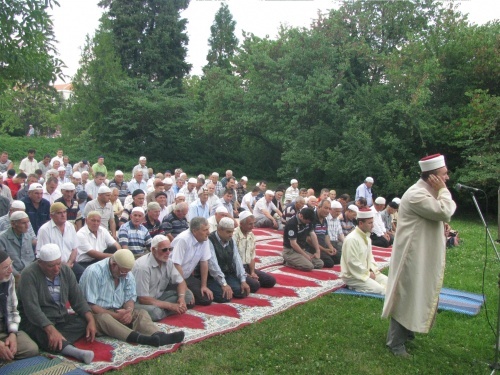 The regional Mufti from the Bulgarian city of Kardzhali has announced he does not support the demand of Muslim women to be covered with headscarves when taking their new passport pictures. “The headscarf in Islam is not fashion. It is Allah's command. But there is the Constitution of Bulgaria, which is in the EU, and all Bulgarian citizens should comply with it. So Muslim women who cover yourselves, please be so kind and do not put yourself above the law, ” Mufti Bejhan Ahmad said. Last week, the Mufti Office from the Bulgarian city of Smolyan demanded that the regional police department allow Muslim women to take the new passport pictures with headscarves on. The Regional Mufti Nedzhmi Dabov has announced that the requirements for the pictures with biometric data are in conflict with the Islamic canon that the Muslim woman should not display other parts of her body except her face and her hands up to her wrists. According to the electoral expert, Mihail Konstantinov, if this demand is fulfilled, Muslim women will not be able to travel in Europe, where passport pictures of veiled women are not allowed. The Bulgarian party “Movement for Rights and Freedoms” (DPS) has announced it does not support the demand of the Muslim women. Another official who does not support the Mufti demand is the director of the police department in Smolyan, Kiril Hadzhihristev. He said Tuesday that the demands of the Muslim spiritual leaders cannot be fulfilled because, according to the rules for issuing identity documents, the picture should display the face, ears, and at least 1 cm of the hair of the person.